Often times LGBTQ people are put on the margins of society and bring themselves to the center through their very existence, passion, and vision. In the year 2018, LGBTQ youth and young adults are challenging and changing the way society views gender, sexuality, and self-expression. On September 18, State of Out Youth will highlight and center the work that LGBTQ young people are doing to change the world around them and shape the future. “All organizing is science fiction. When organizers imagine a world without poverty, without war, without borders or prisons—that’s science fiction. They’re moving beyond the boundaries of what is possible or realistic, into the realm of what we are told is impossible.” —Walidah Imarisha. LGBTQ young people have the power to re-imagine our world. Our society is so fixed on binaries that they are even placed in terms of how we can envision our worlds. We are given Utopia, a perfect fantasy world that often seems out of touch with reality, and Dystopia, in which we are doomed. State of Out Youth imagines another reality: “Protopia,” where every day is better than yesterday, because every day you work towards the world you want to see. On September 18, we’ll travel into the lives of the real-life superheroes who are making change in their communities and imagining a better world for LGBTQ people. Tune in on September 18 at 3pm ET on Facebook Live as the True Colors Fund and GLSEN present State of Out Youth: Welcome to Protopia. 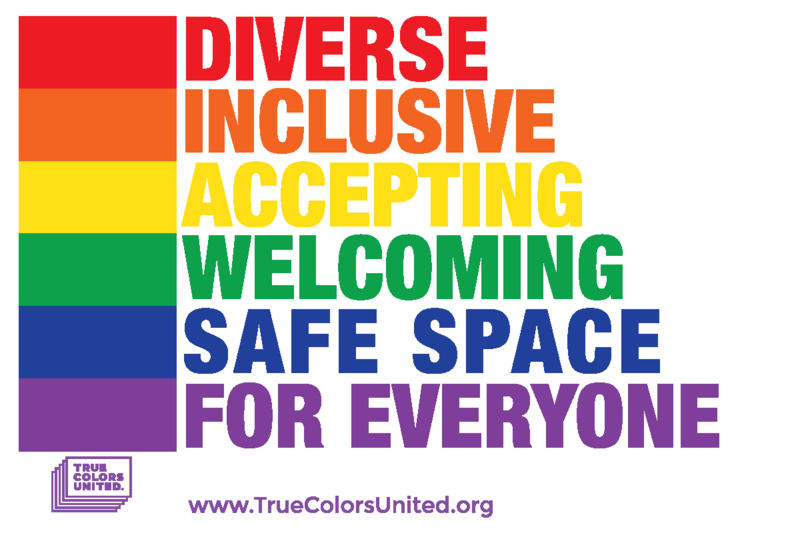 Learn how you can create a more inclusive and affirming environment for young people who identify as lesbian, gay, bisexual, transgender, queer, and questioning (LGBTQ). Download free resources and access blogs and videos by LGBTQ youth on how students, parents, and educators can work to create safe and inclusive K-12 schools for LGBTQ youth.